Because RESCUEDohio is a foster based organization, we do not have a physical location with hours of operation. All dogs are in foster homes primarly located in Columbus, Ohio. We do not have a phone number. If you would like to contact us for any reason not explained on our website or on specific dogs’ petfinder listings, we can be reached at info@rescuedohio.org. There are a lot of FAQ. What do I actually need to know? Do you have any pro-tips? Fully complete an application early even if you are not looking to adopt at this moment or there are no dogs that match what you’re looking for. Applications can take up to 2 weeks to process and we do not hold any dogs. Your application will be good for 6 months assuming you have not moved or added another person or animal to your home. If you have, you can recomplete the application with the updates! Make sure all pets in your house are spayed/neutered , UTD on shots (Rabies, and DHPP) and on heartworm prevention. Be respectful and polite to our team members. We are all volunteers and have full times jobs and families. We do our best to respond quickly, but life happens. We all want dogs to find the perfect forever home. We have an all-in-one application. You can apply to foster, volunteer or adopt all on one application! We understand that our application is long. However, we feel that this expedites the process down the road because we will have less communication back and forth prior to moving forward with your app. If you do not feel comfortable answering any question, you may leave it blank, however, we may not consider your application for adoption. We require all adopters to complete this application in its entirety before discussing the potential adoption of a dog. Do you have application requirements? We will only adopt to Ohio residents. You must be willing to travel to the Columbus area to meet any of our dogs. You must be 23 years or older to adopt. My application is approved, does that mean I get to meet the dog(s) I applied for? Although we have approved you as a RESCUEDohio adopter, this does not mean that the cute face you fell in love with is yours. We are committed to finding the right match for you and the dogs. Having our dogs living in foster homes means we are able to learn so much about their needs. For example, if we determine a fence is needed and you do not have one, we will help you find another pup that does not need a fence. Our top priority is the safety and happiness of our pups. Our fosters know their dogs best and have a say in who is the right fit for their pup, so we appreciate that you stay open minded during the adoption process. Many of our dogs come from less fortunate situations. As such we thoroughly screen all applicants. We emphasize the need for a stable environment for our pups which includes: having a secure job and income to care for the dog, and stable housing. There will be no exceptions to landlord requirements including breed restrictions unless approval is documented in writing by your landlord. RESCUEDohio reserves the right to deny any application at our discretion. It is our goal to place animals where we feel they will fit best, not necessarily in the order the applications are received. We trust that you will conduct yourself in a professional manner and not discredit the organization for not selecting your application. You do not live in Ohio. Your landlord does not allow pets. How can we meet your dogs? We require a completed and approved application with home visit prior to setting up meet and greets. We understand that you may be hesitant to complete an application prior to knowing if the dog is a fit for your home or gets along with your current pets, but to protect the privacy of our foster volunteers and to ensure the best use of time there are no exceptions to this rule. We will work with you to find the perfect dog for your specific home and situation upon a completed and approved application. We do host many events in the Columbus area and you are free to attend any event that we host. You may meet a dog there and want to apply, but please know that there may be approved applications in front of yours. We do not do ONSITE adoptions. If you are already approved to adopt, and you attend an event and fall in love, please let the event volunteers know and they will let the foster and board member know. They will reach out to you and set up a one on one meet and greet and go through all the details about the particular pet to ensure it is the right match for both you and the pup. 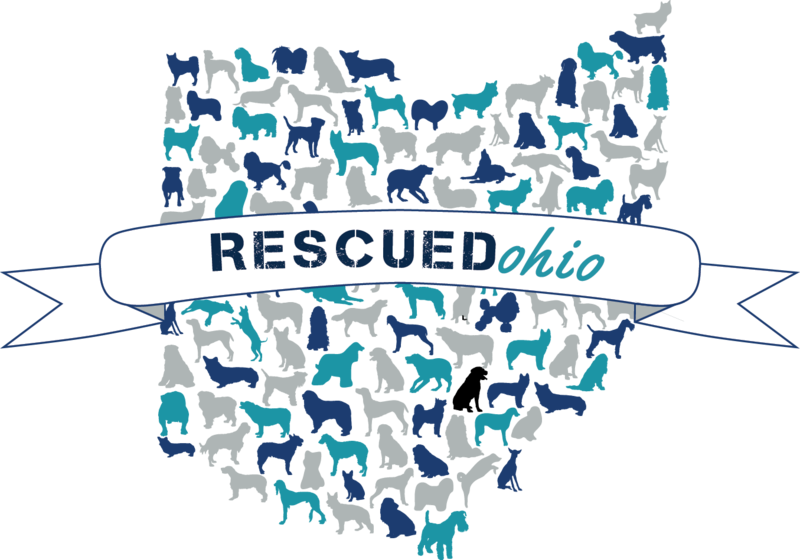 RESCUEDohio is committed to adopting out fully vaccinated, spayed/neutered, healthy dogs. No dog will be fully adopted until they have a clean medical record by our vets. All fees include spay/neuter, microchip, vaccinations, worming, flea and heartworm current. All dogs over 6 months of age have been tested and are heartworm negative. Every time I see a dog I am interested in, it’s already adopted. How can I avoid this? Please complete an adoption application if you are interested in finding your newest family member with RESCUEDohio. If you do not see the dog listed that you are interested in, or you’re not quite ready to adopt, it’s okay. On the application, select “a dog not listed”. You will be able to write in their name in a later section or leave it blank! We encourage you to apply early in your search for that perfect pet as we will only schedule meet and greet with approved adopters. Your application will stay on file for 6 months. When we get new dogs, we look through our approved adopter list first to see if the new pup matches what you may have been looking for and we reach out prior to posting. A dog I saw on Petfinder is no longer listed. Has the dog been adopted? We try to keep out Petfinder listings as up to date as possible. When a certain dog receives multiple applications, we take the listing down in order to review the applications that have already come in. With that being said, there is no guarantee that any of the applications are a perfect match for the pup and we may end up relisting the dog. If you would still like to be considered for the dog, you can apply and select a dog not listed. You will be able to make note of the certain dog’s name within the application. If the dog is indeed adopted, we will let you know and see if you would like us to continue to process your application. We were approved with your organization before and/or are prior adopters. Do we need to reapply? Your application will be good for 6 months assuming you have not moved or added another person or animal to your home. If you have, you can recomplete the application with the updates! If you applied or adopted more than 6 months ago, complete a new app! We are looking for a service dog, can you help? Many of our dogs we describe as great family pets, or great with children. While we do believe many dogs would love to have a child to love on, we don’t have the expertise to suggest a dog be a therapy dog. If someone adopts a dog and then decides to get it certified that is amazing, but there is no way to say a dog is a candidate until it goes through training. For this reason, we may discuss your choice with RESCUEDohio. We adopt out companions and family pets and would hate to have you be disappointed, or in the position to return a dog because it could not be certified. I sent a Facebook message/emailed you, and you have not answered. Why? Please remember we are volunteers with full time jobs and families. We try and respond to every Facebook message, but sometimes our auto response does answer your particular question. If you have more detailed questions, please email info@rescuedohio.org. Emails are not checked over the weekend, but we try to respond to weekend emails by Wednesday, if not sooner. It’s been a few days since I applied, when will I hear from someone? Many times, we are waiting on your landlord, vet, or personal reference to respond to our requests. To help move the process along, please reach out to these individuals and let them know we will be in touch. We will not move forward with any application until we speak to these individuals, if applicable. Additionally, we may have emailed you some follow up questions, so be on the lookout for any emails from us. Return a fully completed application to us (incomplete applications will not be considered). Application is reviewed, vet and personal references are contacted, landlord contacted if applicable. If your application is provisionally approved, you will be contacted within 10 business days for a home visit that will be completed by a volunteer without the prospective adoptive animal. If the home visit is approved, a meet and greet will be set up by the foster family at a location of their choice (perhaps their home or a neutral location). If the meet and greet is successful, the adoption can be completed with a signed adoption contract and paid adoption fee. Please understand RESCUEDohio is fully run by volunteers who dedicate their time to saving homeless animals. Thank you for your patience through the adoption process. You must have a home visit complete prior to meeting any of our dogs. Applications will be processed in 7-10 business days. My PETSTABLISHED account status has changed. What does that mean? PETSTABLISHED is an awesome tool we use to process our applications and keep track of all the needs of our dogs. Some of the functions and statuses are available for your personal use and we encourage you to create an account to help keep track of your dog’s records. However, please note that until you hear from us via email/phone, your application is not officially approved. I need to get rid of my dog, can you help? We would love to save all the dogs (believe us, we even made a shirt about it), but unfortunately we cannot. If you need to rehome your pet, please email pictures, descriptions, and why you need to make this decision. We will do our best to put you into contact with the right organizations if we are unable to help. If you adopted your dog from us and can no longer care for him/her, please contact us as soon as possible. Per your contract you must notify us of this need and we will work with you to get the dog to us. I saw a dog that is “RESCUE ONLY” on Facebook, can you help? We know that we are surrounded by many kill shelters. We understand that you would like to save a dog as we would like to save all the dogs too. However, it is rare for us to be able to expedite your foster application (about a 2 week process). We encourage you to become an approved foster with us that way if the timing is right and we feel that the dog you are inquiring about is a right fit for our organization we can help. There is no guarantee that we will pull a dog, but we always need a foster to step up prior to us committing to any dog. Meka is so beautiful she’s actually glowing!